A little birthday card or two! The stamps are from the May 2010 KOM ( a little happy) and the April 2013 ( celebrate the good times). 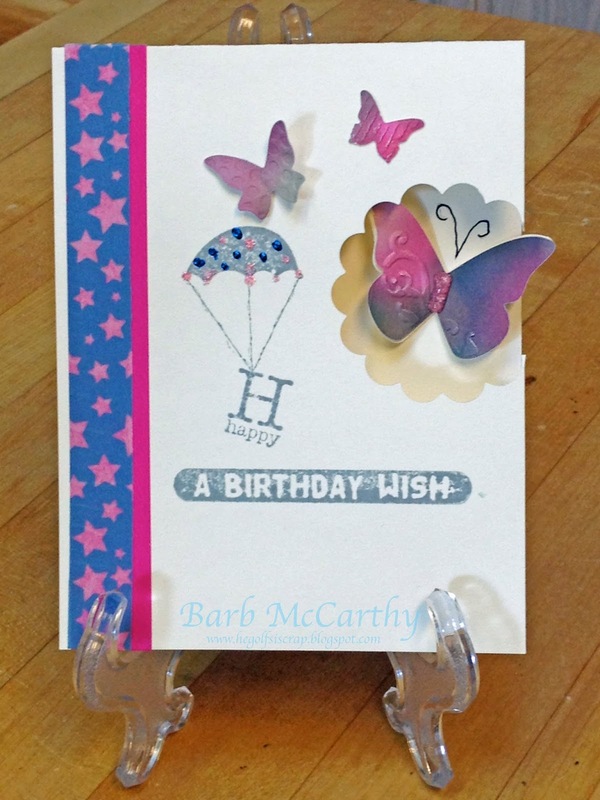 Love the cut out for the butterfly that I cased this idea from Audrey Pettit for Sizzix Inspiration. This is an easy card! Love those butterflies so pretty! And the dangling HB from the hot air balloon is cute! Great card! I found you through Unity's Friends with Flair. Fun, fun card. Love the cut-out idea...may be casing this myself.